exists to fund high-quality fellowships in various areas of surgery, including but not limited to flexible endoscopy, minimal access surgery, and other related disciplines. Through our grant program, we promote and support the continued availability of postgraduate surgical training opportunities of the highest quality. 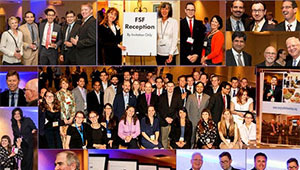 The Foundation for Surgical Fellowships envisions a world in which surgeons receive optimal education and training in advanced surgical techniques with the goal of improved patient care. The 2020-2021 Grant Applications are now closed. The FSF relies on corporate, foundation, and individual contributions to realize our mission. The number of qualified programs we fund annually is wholly dependent on the generosity of our donors.